Kilbourne netted a goal with :11 left in the first OT to defeat Olentangy Liberty 5-4 in a thrilling road win Saturday (3/23). 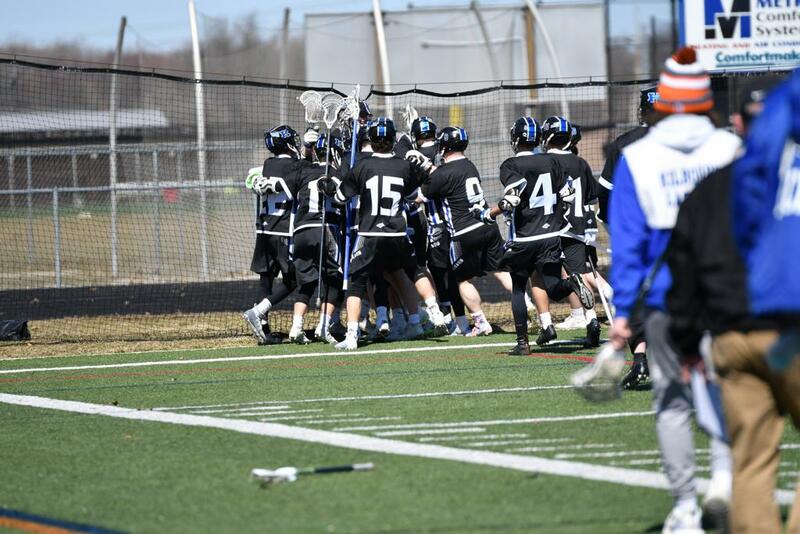 The win keeps Kilbourne Lacrosse undefeated on the season at a perfect 3-0. The Wolves' Max Kott scored the game winner on an unassisted bounce shot with :11 left -- attacking the cage down the alley. The goal capped a tough, low-scoring contest. Olentangy led 2-1 after the first quarter and the Patriots built a 3-1 lead at halftime. The Wolves scored a goal at the end of the half that would have cut the lead but it was waved off in a controversial call. The Wolves were not deterred. Kilbourne netted 2 goals in the third quarter along with one in the fourth. The Wolves also hit 3 pipes on inside looks but could not convert. Meanwhile the defense held Liberty scoreless in the fourth quarter. After the back and forth struggle, the teams were all tied at 4 forcing the OT. In the OT, both teams had opportunities to score. Most notably, deep in the overtime, Olentangy Liberty had a one on none look after a loose ball scrum left a player unguarded. Kilbourne goalie Dane Jackson stood tall with a beautiful save on the doorstep opportunity that kept Kilbourne alive. Following that save, Kilbourne rode the momentum to the other end of the field and with time winding down, Kott struck with the game winner! Kilbourne is now 3-0 on the season and will travel to Upper Arlington next Tuesday to face another stiff test. Wolves fans please come support the team on the road against perennial power Upper Arlington in a game that is a rematch of last year's Regional Championship game. Kilbourne JV also stayed perfect on the season with a 3-2 win at Olentangy Liberty. The Wolves built a 3-1 lead at halftime and held on for the win. It's a solid JV win against the deep Liberty Patriots program. Kilbourne JV actually had the ball very little overall in the game, especially in the second half as Liberty dominated possession. Kilbourne JV turned the ball over on clears repeatedly but the defense and goal tending kept the Patriots at bay and preserved the win.